A lot of people who have never had a problem with weight gain will often let you believe how simple it is to lose weight. If you listen to some of the businesses within the weight loss industry, you’ll have been told over and over how easy it is, just take the latest new slimming pill, have the latest shake, follow that 30 days special diet or buy a new piece of equipment and everything will melt away in a flash. Weight loss doesn’t happen over night and if you think any different then you are not being realistic. For the majority of people the idea behind weight loss is simple – burn more calories through exercise and eat less calories through food and your body will start to lose fat. 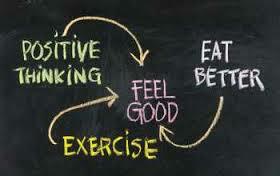 Making small changes to your food choices and adding 20 minutes of exercise each day can accomplish this. Sounds simple? If it’s that simple, why can’t we seem to do it? There are several reasons that contribute to our weight gain that you already know. But it’s not just about finding time to exercise or choosing the salad over the burger; it’s about genuine commitment to make healthy decisions every day REGARDLESS of what’s happening in your life. If you’re not ready to make some changes, losing weight will be hard. Below are some points you’ll need to look at in order to get yourself on a healthy track. If you’re only on a health kick to lose weight or look a certain way, it will be hard to lose weight permanently. Why? Because, what happens if you don’t see results quickly enough? You give up. Weight loss is a great goal, but unless you have something else to motivate you, what’s to keep you going if the scale doesn’t budge? It takes time to lose weight, how will you motivate yourself in the meantime? Find more reasons to be healthy – having more energy, dealing with health problems or wanting to live longer to be around for your kids. Those are some pretty good reasons to want to continue and succeed and want to change your weight loss attitude. If you don’t workout consistently enough, it’s hard to lose weight. You don’t need to spend hours in the gym; you only need to set up a reasonable fitness plan that you can follow each week. It’s not about killing yourself with workouts, it’s about finding something you like and that you’ll continue with for the rest of your life. You have to be willing to be more active on a regular basis, not just for a week here and there. 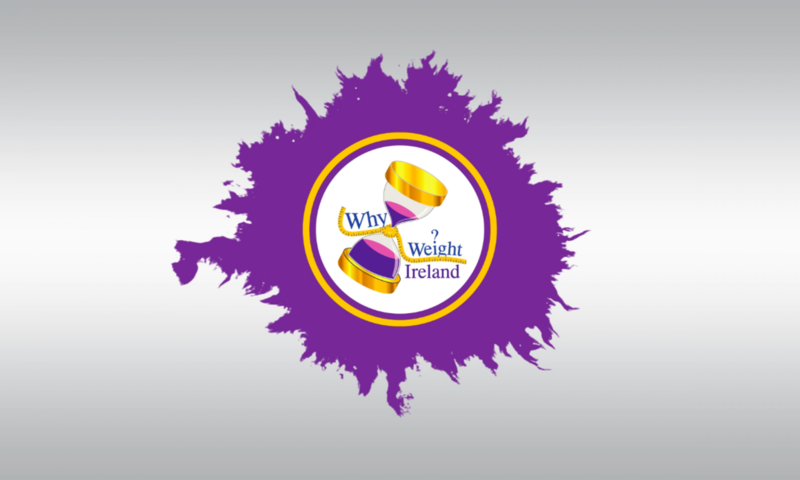 Why Weight Ireland members receive a full tailored fitness plan that they can follow and keep them motivated doing things they like to do. For permanent weight loss, you need to pay attention to what you eat and make good choices more often than not. Structured diets eventually end, but healthy eating never stops. There will never be a time when you’re done eating healthy. You might feel you’re sacrificing the good stuff (pizza, take-away, etc.) and your life won’t be fun if you can’t have those foods. Guess what? You can still have them…just not as much as you want. Are you ready to make these changes? Are you ready to stop giving your body the most convenient thing available (and often the most fatty) and, instead, spend time planning what and when you’ll eat? Unfortunately that’s what it takes to get healthy…permanently. I often get told, “I don’t eat that much so how can I not lose weight”. Losing weight isn’t so much about the quantity of food that you eat but quality. Someone might have a calorie allowance of 1400 calories and only eat 3 big sausage rolls and two cans of Coke for lunch and they will be at their allowance. Not knowing this, they will have some dinner and may even be fairly healthy but what they don’t realise is that they have gone way over their calorie allowance. This is where the genius of the food diary comes in – you will be able to enter in your lunch before you eat it and realise that you will have reached your allowance, thus, giving you the opportunity to make BETTER CHOICES. Daily Routines: You may need to get up earlier to prepare your lunch or squeeze in a workout, use your lunch hour for exercise or go for a walk after work instead of watching TV. Are you willing to do this? Limits: You might need to set new rules for yourself limiting how much TV you watch or how long you sit at the computer. Your kitchen: If you are like my husband and just can’t have any type of biscuit or chocolate treat in the house, as he’d eat everything in sight, save your own sanity and don’t have them in the house. If you want to be healthy, you may need to get rid of those foods you just can’t resist. Your Schedule: If someone changed your work schedule in the office you would do what it takes to stick to the new schedule or you may end up not having a job. If you’re not willing to sit down and change the way you live each day to include exercise, time to prepare meals and time to nurture yourself with sleep, it’s going to be hard to lose weight. People constantly use busy schedules and different excuses not to be healthy. In reality, there is no excuse not to be healthy. If you’re not ready to take responsibility for the schedule you’ve created, it will be hard to lose weight. Sometimes, you can’t control the things around you. At work, you may be surrounded by temptations like sweets, chocolates, fizzy drinks, vending machines etc. That’s just one thing you have to deal with, but what about your home? Surround yourself with things that will support you in your efforts to get healthy. That might mean spending some money on home workout equipment, setting up a corner of the house for your gear or commandeering the TV a few nights a week to do an exercise video. Set up an environment that encourages those healthy choices and reminds you of them. I have words of encouragement printed out and stuck to my fridge door so when I am walking into the kitchen and seeing these words is often enough to remind me of all the healthy choices I’ll need to make that day. Just because I have lost weight and reached my goal I will always be tempted and will always have to try and be and eat healthy. While getting healthy may be something you’re doing on your own, it’s a big help to have a support system. Having family members who understand what you’re doing and are either willing to participate or help you will make a massive difference. If you have a partner who wants to continue eating the kinds of foods that tempt you, you need a plan to deal with that so you can still reach your goals and keep your relationship together. Make him/her understand what you are doing, why you are doing it and ask for their support. Try to surround yourself with people who support what you’re doing and avoid those people who don’t. There is no point in being with people who belittle what you are trying to do and try talking you out of it. If you are doing a weight loss plan and your co-worker doesn’t agree with you then ignore them – what works for one person doesn’t mean it will work for another. A workout buddy is also an excellent idea for support, especially on those days when the weather is bad and you just feel like hiding away. As part of our support network we have a fab Private Facebook Community Group where you can chat get all the encouragement and motivation from fellow members. If you have other reasons for being overweight i.e. past hurts that you’ve used food to deal with, depression or other problems, it’s hard to lose weight. For many of us, food is a comfort and something we’ve relied on all of our lives to help us deal with emotional problems. Pinpointing those behaviors and what drives them is important for becoming aware of what you’re doing and why. With this in mind we have added the Food Trigger section to the diary. Be willing to learn why you make the choices you make and to confront them. If you’ve set impossible goals, you are guaranteed to fail. Weight loss becomes hard to achieve if you feel like a constant failure…who wants to feel like that? If that’s how your weight loss experience is, it’s no wonder you keep quitting. The key is to set reasonable goals. So what is reasonable? That’s going to be different for each person depending on your genetics, eating habits, exercise, and metabolism to name a few. You’re better off setting a long-term goal (whether it’s to lose weight or compete in a race) and then focusing your attention on daily or weekly goals. Your weekly goal might be to get in 3 cardio workouts, minimum. Pick things you KNOW you can achieve so you’re always successful. It can be as small as you like, as long as it’s reachable. When selecting your weight loss in the Why Weight Ireland Food & Exercise Diary I recommend selecting 10% weight loss at a time, having these short goals will help you keep focused and determined to succeed. 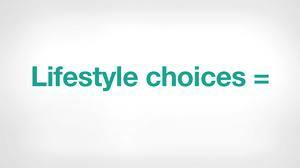 You hear a lot about lifestyle changes, but it’s daily choices that really test you. What happens if you have to work late and you can’t get to the gym? Or what if you get stuck in traffic and miss your fitness class? Any number of things can happen in a day that may throw you off track. The trick is to be flexible. It helps if you’re always prepared. Keep some runners in the car so you can stop off at the park for a quick walk. Always try and keep some healthy food handy so if you get stuck in traffic, you get a snack in before your workout or before you get so hungry that you end up stopping off at a garage or shop and buy the food you don’t want or need. Often things come up that means we can’t do a full workout but if you can’t do 45 minutes, why not just do 10? Something is always better than nothing. If there are times that you just can’t get out at all then make sure you plan the workout for another time. You will not be perfect every day. On the good days, you’ll eat all your fruit and veg, say no to that chocolate, drink all your water and do your workout even though you’re tired. On the bad days, you’ll wake up late, forget to bring your lunch, have an extra piece of cake at your friend’s birthday party and skip your workout. The bad days will happen if you’re a human being. The trick is to never give up, even when you mess up. You’re not a loser just because you make some mistakes…you’re simply a person trying his or her best to make good decisions. I often tell my members to sweep the bad days under the carpet and go again, if you can learn to do this you will be giving yourself a much stronger chance of succeeding. 2 Days FREE access to Ireland’s best online food & exercise diary 🙂 Click the link below to be brought to the diary home page where you can click on Take a 2 Day Free Trial – once your trial is complete you can visit our Prices & Packages page and select one of our memberships to continue and receive the benefits of being a full member.